CHIAVARI, Italy - It never failed. As soon as the winter fog would start to lift in Milan and the stark reality of the gray on gray city set in, I would start thinking about a weekend getaway on the Italian Riviera. My getaway of choice was often Rapallo, a small town in Liguria, about 35 miles south of Genova. Calling it a small town makes Rapallo sound quaint and old fashioned, which it is, but it is also part of the poshest arc of the Riviera. Its nearest neighbors, besides Chiavari, are toney Santa Margherita Ligure and the much touted celebrity playground of Portofino. I like it anyway. Just like we can’t pick our relatives, towns can’t pick their neighbors. 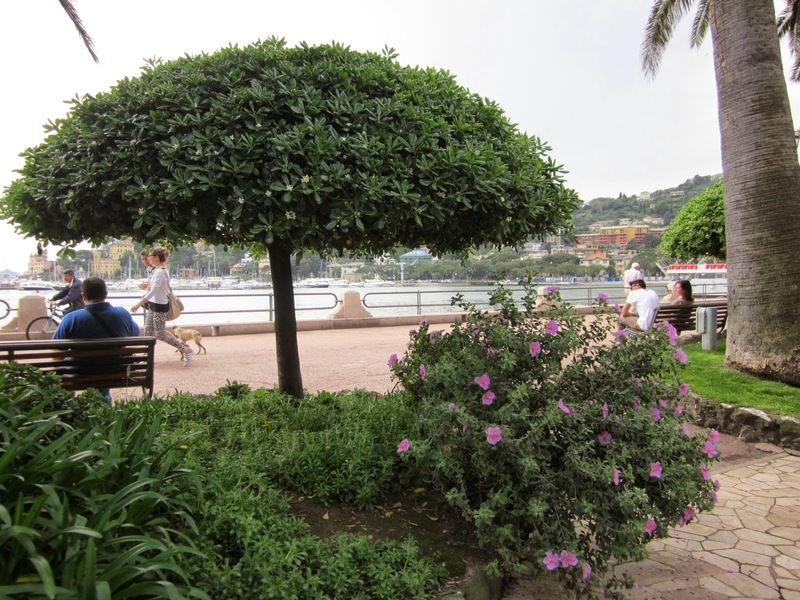 What I like about it is that Rapallo doesn’t have that international jet set feel of Portofino and even though there are more hotels there than in Santa Margherita, it manages to feel homey. There is a long, palm tree lined walk along the sea that runs from the town’s harbor to the castle, make that castle with a question mark. Calling it a castle is a bit of an exaggeration, at least for me. When I think of the word castle, I think majestic, commanding, imposing, but none of those words describe the castle in Rapallo, and that’s what intrigues me. Rapallo’s castle sits on a rocky base on the edge of the sea and frankly, as castle go, it isn’t the least bit majestic or commanding. It is low and wide with rounded corners, its sides riddled with merlons (the narrow openings those inside the castle use to shoot at attackers) and it looks more like something you’d find on a playground than what it actually was, Rapallo’s main defense against the Barbary pirates. It was built after the fierce corsair Dragut Reis attacked the town in 1551 and made off with about one hundred women and children who he promptly sent off to be sold in the slave markets of Algiers. Make no mistake, Dragut was no Disney pirate with a black eye patch and a parrot on his shoulder. He had spent four long years as a galley slave on an Italian ship and plotted his revenge as he sat broiling under the hot Mediterranean sun and shivering in the freezing rain. After he escaped he devoted the rest of his life to attacking the towns and villages along the Ligurian coast, Rapallo among them, and showing as much mercy to his captives as he had been shown during those four years he was chained to an oar on that ship in the middle of the sea – that is to say – none. 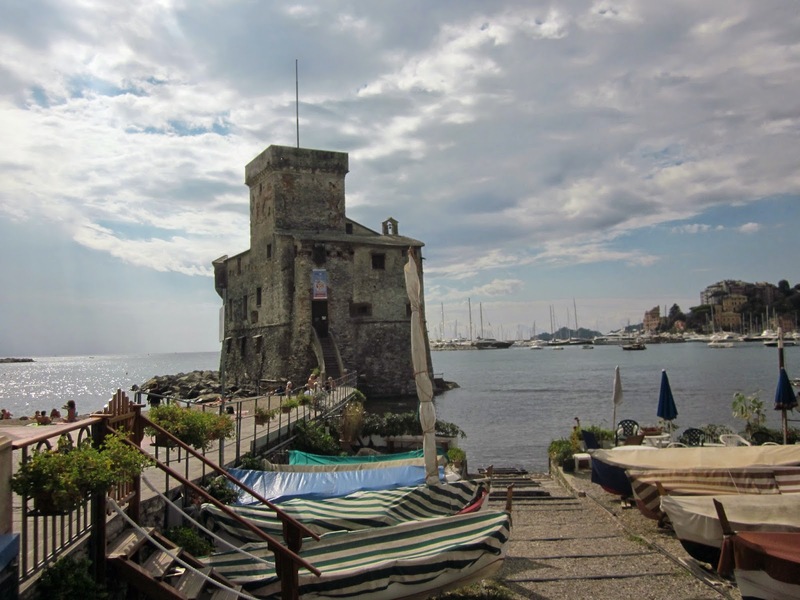 Today the castle is used primarily as a venue for art exhibits and the thick walls that once shielded the Rapallo infantry (and the town) from the Barbary pirates now hold up watercolors and photographs by local artists. One of my favorite places in town used to be a small bar near the castle that had a bookcase filled with board games. They served simple meals and sandwiches that you could eat indoors or at one of the outdoor tables and enjoy the best view in town of the castle and the sea. During the rainy winter months this is was where you would find the locals, sipping coffee laced with grappa and playing Italian monopoly or Scrabble and watching the storms come in off the sea. I was sorry to see that a run-of-the-mill touristy bar has taken over that spot, but the view is still the same even if the atmosphere has changed. On balmy summer evenings band concerts are held in the gazebo in the small park in front of the sea walk and on August 15th, which is the most important summer holiday of the year, it’s nice to sit by the water, cooled by the evening breeze and watch eye popping fireworks. 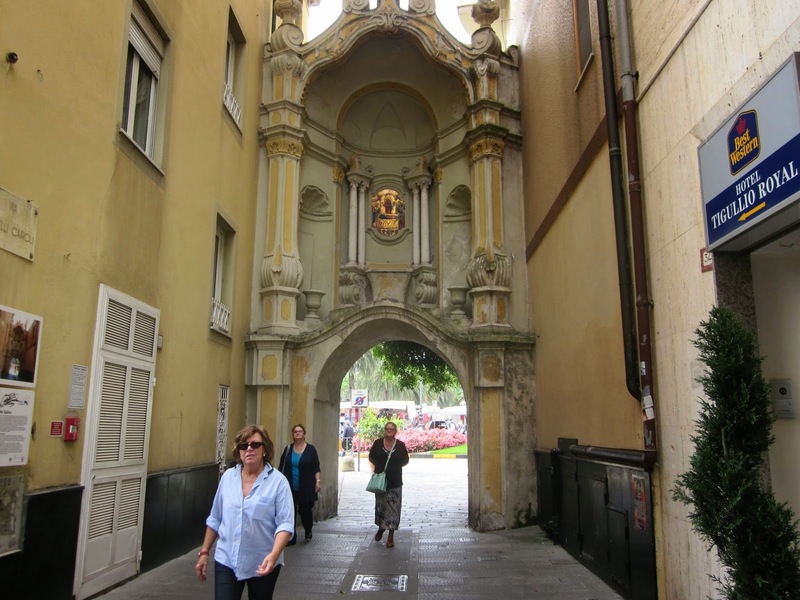 At one time there were five gates that led into the town of Rapallo but today only one remains, the Porta delle Saline. Above the apricot and white baroque portal there is a small golden niche holding a statue of the Madonna. Many people still make the sign of the cross when they pass through the portal to go out of Rapallo, a hold over from when it was prudent to seek the protection of the heavens when leaving town, especially if you were a sailor ready to embark on the dangerous pirate ridden waters of the Mediterranean. In the shade of the pastel colored buildings there is a daily food market where local vendors sell seasonal fruits, vegetables and fresh fish. You’ll also find a fair number of butchers and bakers and pasta makers. One of the best food shops is “Abuttega de due Scu” which I think means “a little shop that sells a couple of things” in dialect. 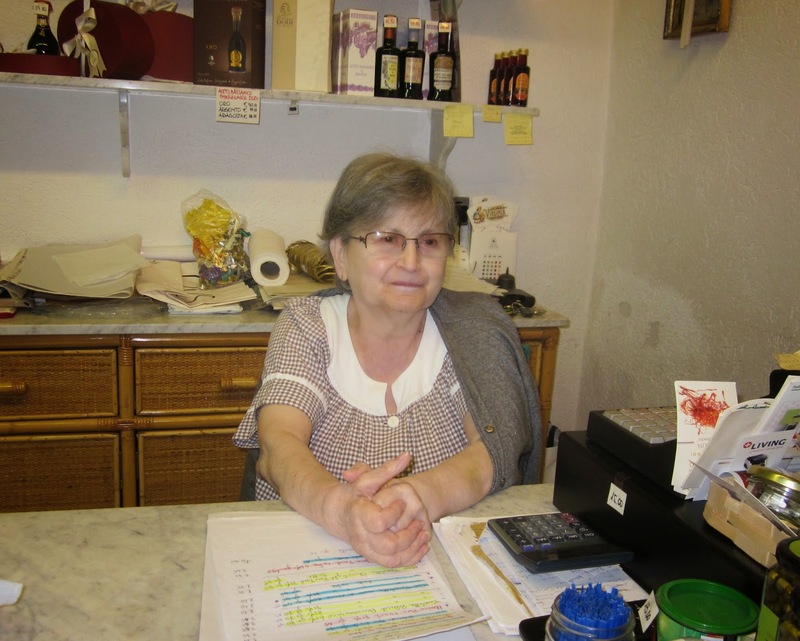 It’s owned by Andreina Barbieri, a nice lady who is happy to tell you how to cook some of the more unusual pastas made in Liguria, like testaroli which looks like a rolled up extra-large pancake, but tastes like heaven. Did I mention there is no shortage of places to eat? There are snack bars and bakeries where you can buy hot from the oven foccacia and restaurants that serve fresh pesto served over the local pasta, squiggly trofie. Before the European Union imposed its rules the trofie were made by local housewives and sold to the restaurants in town. Now they are made at the restaurants and still delicious. 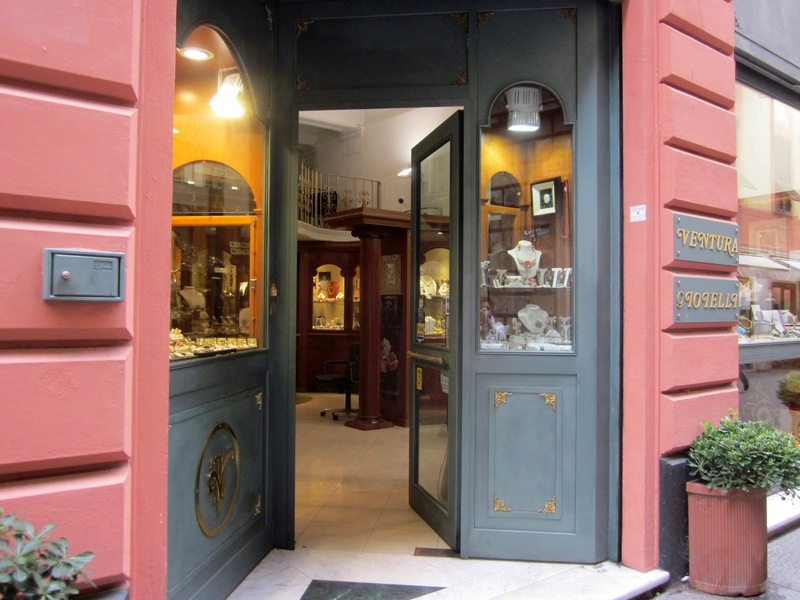 Of course there are the prerequisite boutiques showing the latest fashions from Milan and lots of shoe shops, jewelry shops and other places to spend your money. There’s even an 18 hole 70 par golf course. 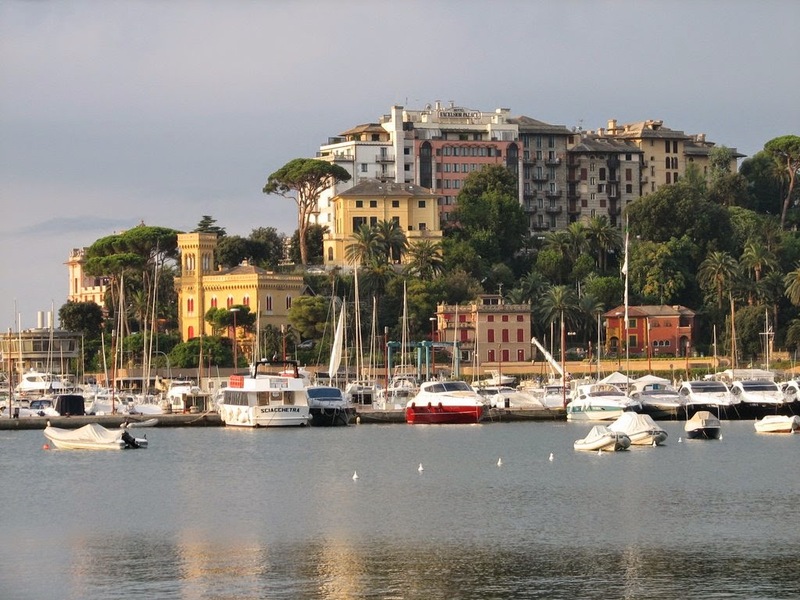 The beauty of Rapallo is that it has everything, all perfectly packaged and compact. You can walk the historic part, the center of town, in 20 minutes – maybe less, so there is plenty of time left over to devote to the things you like to do, like finding a gelateria and trying to decide which of the 25 flavors of ice cream on offer you are going to try that day. Even though I chose to live in Chiavari when I moved back to the Riviera a couple of years ago, I'm happy to be close to Rapallo. Now when I get the urge for a Rapallo fix it's nice to know that instead of being a couple of hours away, as it was when I lived in Milan, it's only 7 minutes by train - Chiavari-Rapallo. I love this. Its great to hear your personal view on these spots. I want spend some time there! It must be that time of year when Rapallo lures people in search of the last days of summer. We visited last weekend and loved the easy going, more 'homey' feel, just as you say. I know we will be back, but not in August.